It wasn’t just the Bleak House in Knoxville, Tennessee, that made this anniversary shoot one to remember. This was also an unforgettable experience for Tyler and Berkley. What started out as a simple styled shoot to honor their fifth wedding anniversary became a time of sincere reflection and celebration for this amazing couple. The Bleak House is a classic Civil War-era venue that boasts a brilliant white exterior. It’s characterized by unique touches like personalized wrought-iron gates and a lovely walkway. On top of the beauty on the outside, inside the main room was outfitted with beautiful flower arrangements of roses and baby eucalyptus. The photographer had the couple write a love letter to one another, who then secretly employed the help of a calligrapher to present them in a most beautiful way. At the shoot, the couple read their letters aloud to each other. Berkley wore a long dusty blue halter-style dress with her hair styled in a fluttery updo. Tyler wore a navy blue blazer, patterned shirt, and gray pants. They both wore smiles and shed tears as they read their letters. Another ingenious touch was to document the moment with a real-life painter. 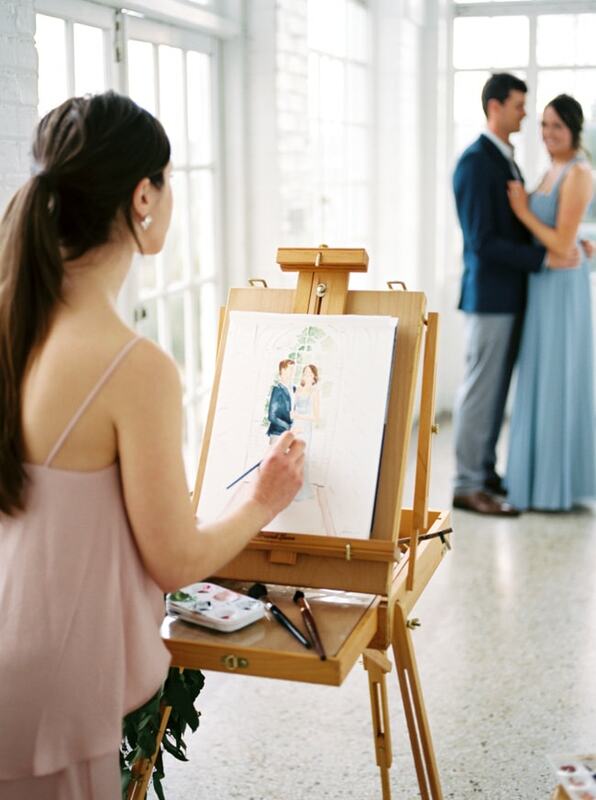 With sunlight cascading in, the couple embraced next to the window as the painter marked the occasion with the delicate brush of watercolors across the white canvas. Under the window arch, Berkley resembled a bride once more as she clutched one of the arrangements. Tyler looked handsome as the camera captured his serious side. This shoot is truly about the emotion between the couple. As they welcome their anniversary, Tyler and Berkley boast a strong connection that comes across through the lens. 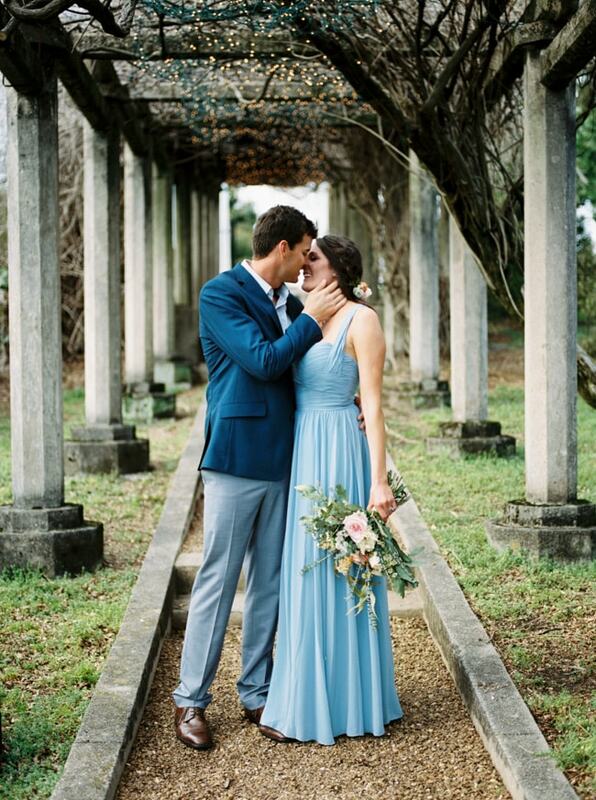 Under the portico, Tyler offered a tender kiss and a rose to his sweet wife. They paused at the side of a small fountain on the grounds. The photographer captured a classic ring shot for the couple. The flowering trees framed the couple in a romantic gaze, while the final shot showed a truly happy and forever-in-love couple. An anniversary shoot can capture the special relationship with your spouse during whichever season of life you find yourselves. It’s clear that Tyler and Berkley are grateful and excited for not only the time they’ve had together but for the many years ahead. No matter the number, any anniversary is worthy of commemoration.